Engineering and IT Consulting TDM employs experts in the fields of data, voice, cloud computing, and wireless network design and procurement. We can come alongside organizations who do not already have the resources, or we can work with organizations who have pre-existing staff in these fields. 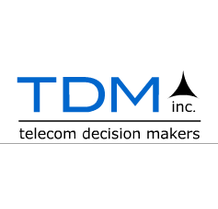 Product Management TDM diligently remains an informed and expert resource who understands all potential providers for communication services, their product offerings, pricing specials, service advantages, disadvantages and product roadmaps. This results in our customers understanding their options without having to do the legwork of researching the market and meeting with countless providers to sort through the myriad of options. Our Service comes at no direct cost to you. We are compensated by the vendors that you choose for service, and we effectively take the place of the direct sales team in the provider's financial model. We never remit an invoice to you, and you are not obligated to use our services. TDM must earn your business each and every day.